Imelda Staunton will star as the indomitable Momma Rose in the West End transfer of Jonathan Kent’s five star sell-out Chichester Festival Theatre production of Gypsy, the first to be seen in London for forty years. This strictly limited season opens at the Savoy Theatre on 15 April 2015 with previews from 28 March 2015 (7.30pm). Further casting for Gypsy, which goes on sale today, 18 December 2014, will be announced shortly. Gypsy, a musical fable with book by Arthur Laurents, music by Jule Styne, lyrics by Stephen Sondheim suggested by the memoirs of Gypsy Rose Lee, has choreography by Stephen Mear, designs by Anthony Ward, musical direction and orchestration by Nicholas Skilbeck, lighting by Mark Henderson and sound by Paul Groothuis. 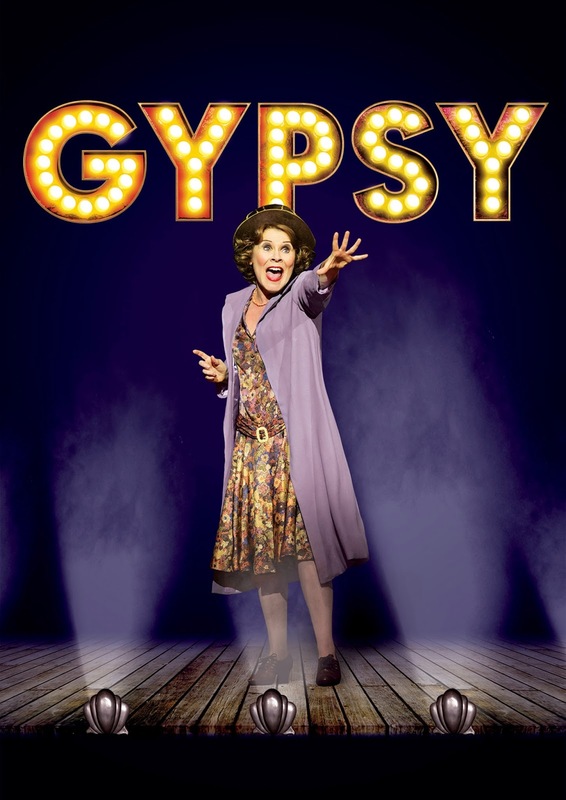 Gypsy is produced in the West End by Michael Harrison and David Ian. Gypsy is considered by many to be the greatest of the Broadway musicals. It tells the true story of ambitious showbiz mother Momma Rose, who treks across America with her daughters Baby June and Louise in search of success with their homespun vaudeville act. As times change, Momma Rose is forced to accept the demise of vaudeville and the rise of burlesque, as well as her daughters’ quest for autonomy. Gypsy reunites actor Imelda Staunton and director Jonathan Kent who previously collaborated on the Chichester Festival Theatre production of Sweeney Todd, which, after a sell-out run there, transferred to the West End. Kent also directed Staunton inGood People for Hampstead Theatre, which similarly transferred to the West End after a sell-out season in Hampstead. Multi award-winning actor Imelda Staunton’s extensive theatre credits include Sweeney Todd for Chichester Festival Theatre, Guys and Dolls, A Chorus of Disapproval and Life x 3 for the National Theatre, A Delicate Balance and There Came a Gypsy Riding for the Almeida Theatre, They Shoot Horses Don’t They? and The Wizard of Oz for the Royal Shakespeare Company, Slavs andGood People for Hampstead Theatre, Circle Mirror Transformation for the Royal Court Theatre, Entertaining Mr. Sloane at the Trafalgar Studios, Calico at the Duke of York’s Theatre, The Corn is Green at the Old Vic, Uncle Vanya at the Vaudeville, Into the Woods at the Phoenix Theatre and Habeas Corpus at the Donmar Warehouse. Her many film credits include Pride, Maleficent, The Awakening, Another Year, Taking Woodstock, Harry Potter and The Order of the Phoenix, Vera Drake, Nanny McPhee, Bright Young Things, Shakespeare in Love, Sense and Sensibility, Peter’s Friends and Twelfth Night. Her television includes the upcoming That Day We Sang, The Girl, Psychoville, Cranford Chronicles, The Wind in the Willows, My Family and Other Animals, A Midsummer Night’s Dream, Fingersmith, Cambridge Spies, David Copperfield, The Singing Detective and An Englishman’s Wife. Director Jonathan Kent’s theatre credits includes Sweeney Todd and Private Lives for Chichester Festival Theatre, Good People for Hampstead Theatre, Le Cid, Mother Courage and Her Children, The False Servant, Oedipus and Emperor and Galilean for the National Theatre, Man of La Mancha on Broadway, Hecuba for the Donmar Warehouse, As You Desire Me at the Playhouse Theatre, The Country Wife, The Sea and Marguerite for the Theatre Royal Haymarket and Faith Healer in Dublin and on Broadway. Kent was joint Artistic Director of the Almeida Theatre for 12 years, where his many productions included Gangster No 1, All For Love, The School for Wives, Medea, Hamlet, The Life of Galileo, Ivanov, The Tempest, Richard II, Coriolanus, Phèdre, Britannicus, Plenty, Lulu, Platonov and King Lear, many of which transferred to the West End and Broadway and toured internationally. His many opera credits include productions for the Mariinsky in St Petersburg, Glyndebourne, the Royal Opera House, ENO, Royal Danish Opera and Santa Fe Opera. No booking fee or transaction fee for tickets purchased directly from Gypsy website, ATG Tickets website, call centre and box office.